A headshot is one that typically exhibits the person’s personality and an appearance by only focusing on the face of the person. This means portrait photography by having the face of the subject as the center of the attractions. Due to the reason that the success of the photography depends on the person’s appearance and looks in the headshot shoot, it is elementary to prepare the subject for the kind of professional shoot. You must have to drink plenty of water to look hydrated in your shoot. Fines and pores will be more striking in the camera when you will be a dehydrated advertisement with that the lips will look dry and wrinkled that can ruin your shoot. So to make the headshot shoot really appealing and eye-catchy it is essential for the actor to drink abundant of water or the coconut water will be the good option. You really have to avoid the things like alcohol and caffeine that can push you towards dehydration. Before your headshot shoot, you have to take plenty of sleep to look fresh and energetic in the pictures. This is obvious that you must feel better then only you look better in the images. This is the other expert advice that can favor your headshot shoot. You have to make your looks fresh and new for the shoot. For this, getting the nice haircut will be a great idea. You can get that as according to the latest trend and can ask the photographer to keep his eye on the hair. Be certain about your haircut. Other than that, must remember that you cannot fake the neat ends easily in the images. This is the essential requirement for the actress going to shoot their headshot shot. She must have the lip balm that will help him to make her lips moist and soggy. Just memorize the thing that you would be responsible for your looks so be attentive and ask the photographer to aware about the lips during the shoot if they look cracked or dry and accordingly you can apply the lip balm from time to time. You must have the good options of moisture before your eyes. There are many nice moisturizers that will make your skin look refresh and moist. Try different brands but keep one that best suits to your skin type. The recommended options in the range of moisturizers are honey girl organic or extra virgin olive oil to make your skin gives great shine. Olive oil may sound uneven but it is really advantageous for the skin. You can use this inexpensive aid and make your skin looks completely moisturized. You only have to apply it by taking a little bit on the palm and by taking one or two drops you can massage it over your skin. But memorize this thing that you must moisturize your skin one day before the shoot and also before a few hours to look fresh and glamorous in the pictures. You can prefer the option of Neutrogena skin lotion that will make your skin looks hydrated and moist in the images. With that, it also has the power to provide you with the protection against the sun. It is important to make your eyes attractive that you always use the fresh mascara that has not passed so much time. When the mascara gets old it looks clumpy on the eyes and does not provide an attractive look as desired by the people. If you want that your lashes look organic and natural then you must use the fresh mascara and this is the ideal tip for the ones going to give their headshot shot who definitely needs perfect looks and eyes being the important feature of the face must look appealing which the long used mascara can ruin that. It is advisable to not over apply the foundation on the skin. For the male actors, this is the special concerning point that they don’t apply the foundation on their skin but the little usage of the translucent powder is enough for the skin to look bright and glossy in the images. The girls must use the foundation but only the soft coat that does not seem bogus in the images. Other than that hiding pimples or blotting lines is the easy retouching job that can be done after the photo-shoot. Men if find it necessary can apply little foundation for the purpose of hiding uneven skin. This is something elementary to get rid of the clogged pores and the blackheads from the skin. You have to do the facial one week before the shot as some facials can cause redness and breakouts on the skin. It is advisable here again to drink plenty of the water as it will make your skin looks pliable and for that, you must feel hydrated. It will also help you to get rid of the pores of the skin quickly. 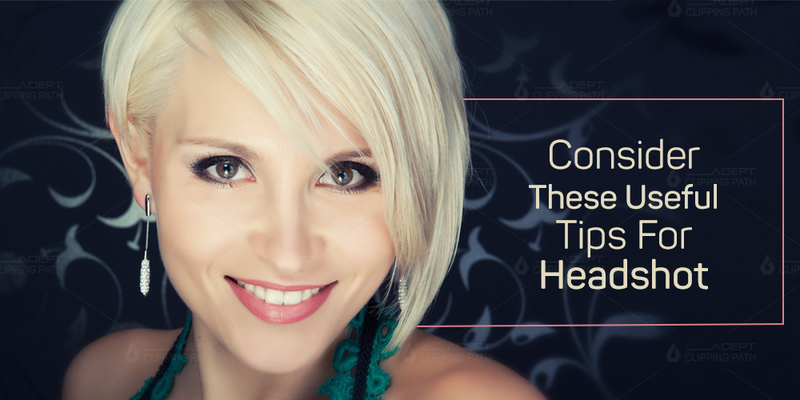 Have a look on the above given wonderful tips if you are going for a headshot shoot. There are some important things that must be considered beforehand before the shoot and that cannot be faked afterward using the photo-shop. So consider them before your shoot to make your shoot successful.